Why I chose this book: I’ll be honest, I picked up this book back in 2012 when it originally came out and could not finish it. I made it thirty pages in and was overwhelmed. While I am slowly learning to love the fantasy genre, I still struggle with books that contain peculiar names, worlds, words, languages, etc., due to my dyslexia. Let me just tell you, this book is a dyslexic’s nightmare. Despite this, I noticed that this book kept getting awards and solid reviews. 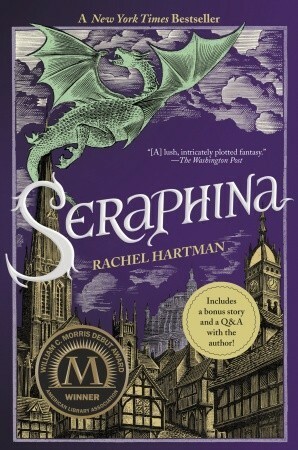 So at the beginning of this year I picked up Seraphina on audiobook and was pleasantly surprised.